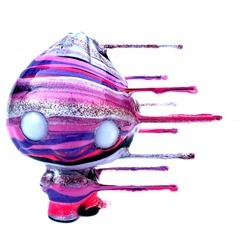 Pobber will celebrate Valentine's Day release with the special Candy Drip Bao Custom Edition from Josh Mayhem. Limited to eight pieces, these 4" customs of Scott Tolleson's Bao vinyl feature Josh's handcrafted Blown Away styling and a pink, purple, and silver color palette. 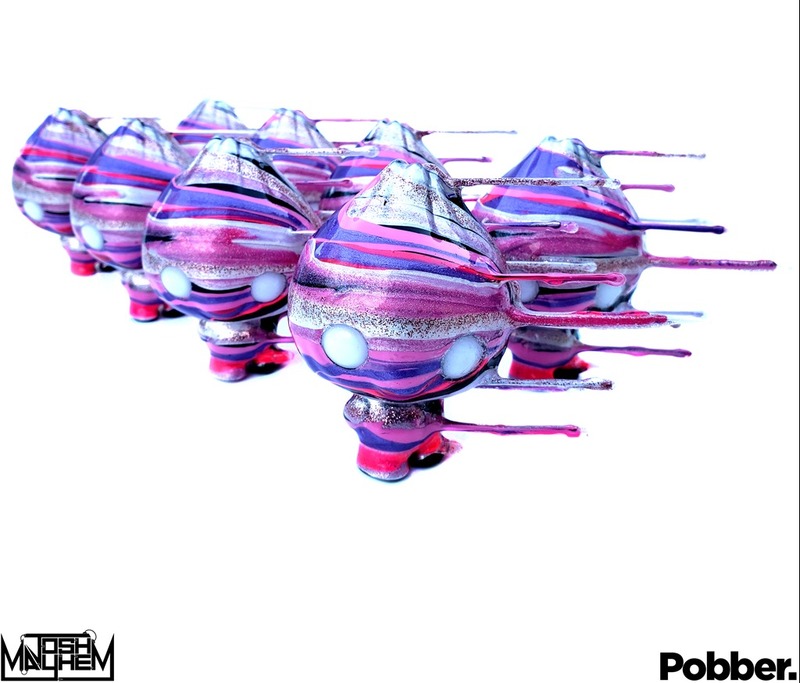 They will be available for $150 on Tuesday (2.12) at 6 AM PST from the Pobber web shop. 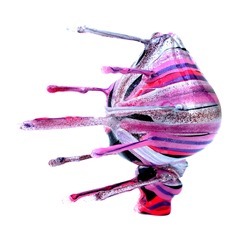 The Candy Drip Baos are Josh Mayhem's first project for his new role as Pobber's first Resident Custom Artist. Pobber's Resident Custom Artists will regularly customize Pobber figures and those that are extremely well-received will be considered for production runs where technically feasible.